Blackburn moved back into the play-off places after a goalless draw against Nottingham Forest at the City Ground. However Rovers, with Eric Black in charge following Steve Kean's resignation last week, are now three games without a win. Forest looked more likely winners with Blackburn goalkeeper Paul Robinson saving brilliantly from Lewis McGugan on the stroke of half-time. The hosts pushed hard for a win after the interval but Blackburn stood firm. Forest were missing suspended strikers Dexter Blackstock and Simon Cox and have themselves now gone five games without a win. The match had lacked a cutting edge until Robinson denied McGugan, who strike was pushed wide by the scrambling Rovers keeper. Forest continued to attack after the break and a rasping effort from Andy Reid flew just over the crossbar. Rovers striker Jordan Rhodes was a peripheral figure in a defensive 5-3-2 formation but had claims for a penalty waved away after he felt Chris Cohen clipped his heels. Robinson fended away a Henri Lansbury strike as the visitors continued to come under pressure. 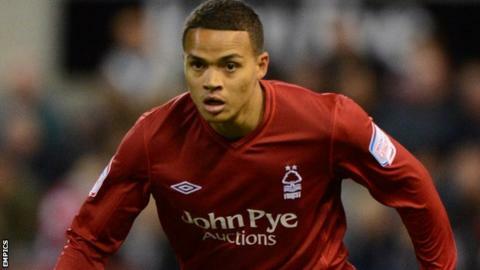 Forest boss Sean O'Driscoll brought on on-loan Tottenham midfielder Jermaine Jenas, who started his career at the City Ground, late on but both sides had to settle for a draw.